Explore the roots of America through events that occurred in New York City from the time the city was an early Dutch Settlement, through British Rule, Revolution and the birth of a new Nation. You will see how immigration influenced and made up the very foundation of the city. People from around the world came at different times and for different reasons, but all left and continue to leave their marks on business, politics, food, neighborhood life and the very character of New York. Some stops include the Wall Street, Fraunces Tavern, City Hall, Rhinelander Sugar House, the African Burial Ground, Trinity Church and more. This is a 4.5 mile (7 km) tour designed with exciting stops along the route to interest all runners and is paced to accommodate all running levels. Each participant will receive a bottle of water. Photos will be taken by your running guide but we encourage you to bring your own camera as well. There will not be a coat/bag check for this tour. Your running guide will be using a running backpack and will carry small items for you if necessary. 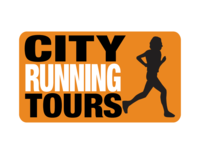 The tour will be a casually paced run through lower Manhattan, including Wall Street, Fraunces Tavern, City Hall, Rhinelander Sugar House, the African Burial Ground, Trinity Church and more. There are a few planned stops along the route where your guide will point out items of interest as well as good photo opportunities.